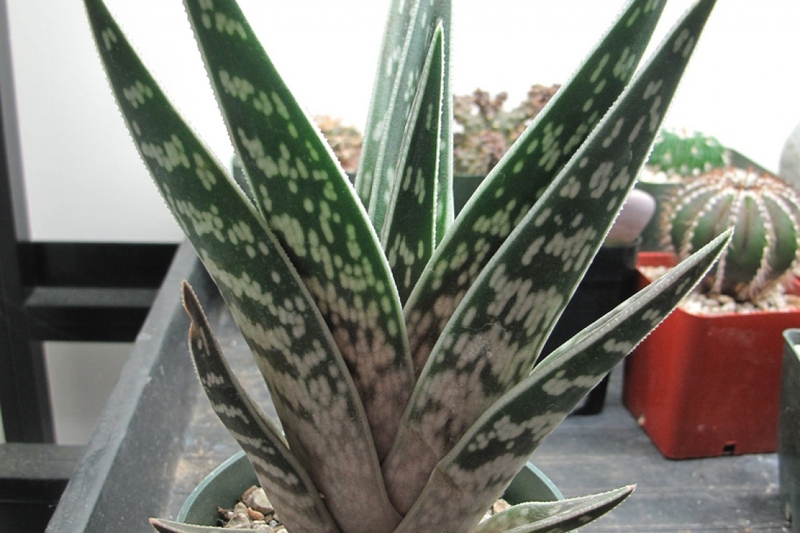 Tiger aloe (Aloe variegata): growing, planting, caring. 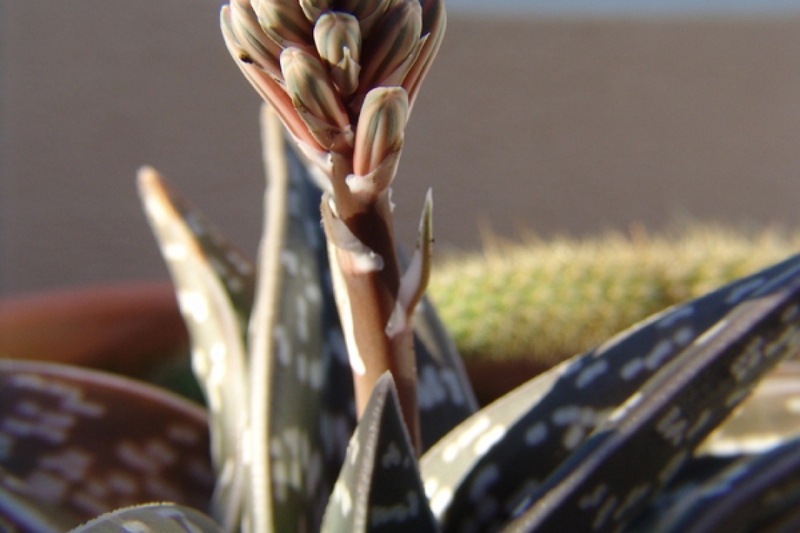 A small Aloe with bicolor leaves. Aloe variegata - or Gonialoe variegata, also known as tiger aloe and partridge-breasted aloe - is a species of flowering plant in the family Asphodelaceae. It is an evergreen succulent perennial indigenous to South Africa and Namibia, growing to 20–30 cm, with 18–24 leaves arranged in three ranks. 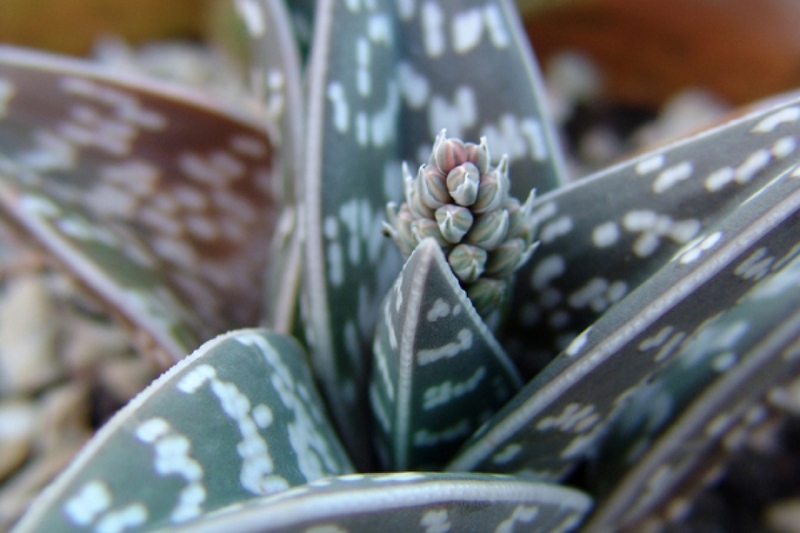 New leaves appear individually over time from the centre of the plant, pushing older leaves in a spiral fashion. Each leaf is a rich green colour with irregular light green banding. The flowers are orange : in its natural habitat in southern Africa, flowers are produced from July to September. In temperate regions it can be grown outdoors during the summer months. However it does not tolerate cold below 5 °C (41 °F) or wet conditions, and requires the protection of glass in winter.